There will be a very special horse presented at this month’s Paris World Championships. One that already has won a Gold title as a colt, and is now making a majestic return as a stallion. One that has won titles on three continents, yet is only five years of age. One that represents Al Thumama Stud in Qatar, who are fast earning themselves a reputation as the ones to watch. The name of this most noble of horses? Sultan Al Zobara. Sultan Al Zobara is sired by the great Gazal Al Shaqab (Anaza El Farid x Kajora by Kaborr), himself a World Champion Stallion and the sire of an impressive number of champions around the world. 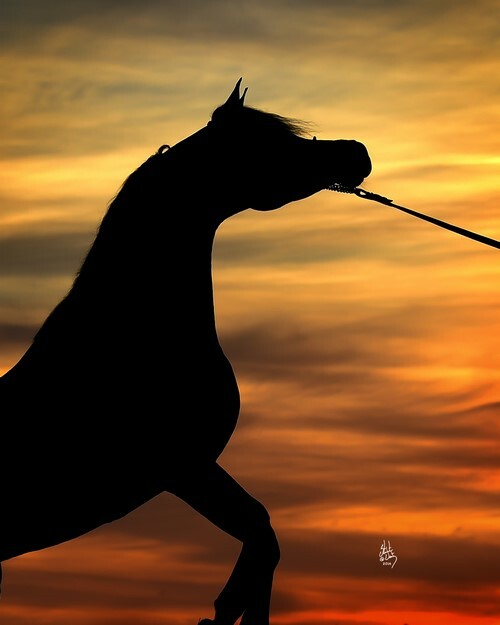 Combining the influences of the Egyptian and Polish bloodlines, Gazal Al Shaqab has consistently produced offspring that carry his brilliant qualities, including the incredible type and charisma that he is so well known for. Looking to Sultan Al Zobara’s damline, we have another mare bred at Al Shaqab Stud, this time Inra Al Shaqab. Her sire is Wahag Al Shaqab, a son of the Salaa El Dine (Ansata Halim Shah x Hanan by Alaa El Dine) son, Safir (ex Aisha by Ansata Halim Shah out of Ghazala). Inra Al Shaqab’ illustrious straight Egyptian pedigree is also evident in her damline, being out of the beautiful Johara Al Shaqab, a daughter of Imperial Mahzeer (Imperial Madheen x Maar Bilahh by El Halimaar) and out of Sahaba (Adeeb x Hasanat by Shaarawi). In all, Inra Al Shaqab has a very pure Egyptian pedigree. The combination of the power and might of Gazal Al Shaqab with the feminine exotic bay beauty of Inra Al Shaqab has blended together to create one unforgettable stallion – Sultan Al Zobara, bred by Al Zobara Stud in Qatar. Of the many titles that he has won, Sultan Al Zobara’s first big win was in the hallowed grounds of the Salon du Cheval at the 2012 Paris World Championships. There, as a yearling, he took the Gold Champion Yearling Colt title. Two years later, as a three-year-old, he took the Silver Champion Junior Colt at the Mediterranean & Arab Countries’ Arabian Horse Championship in Menton. 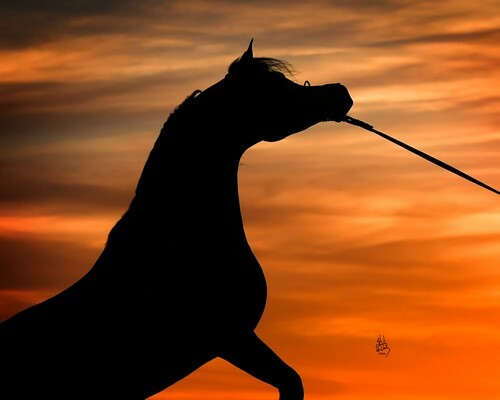 The following year, now a four-year-old stallion, Sultan Al Zobara went to the United States and took a very convincing Gold Senior Male Championship title at the Arabian Breeders’ World Cup in Las Vegas. 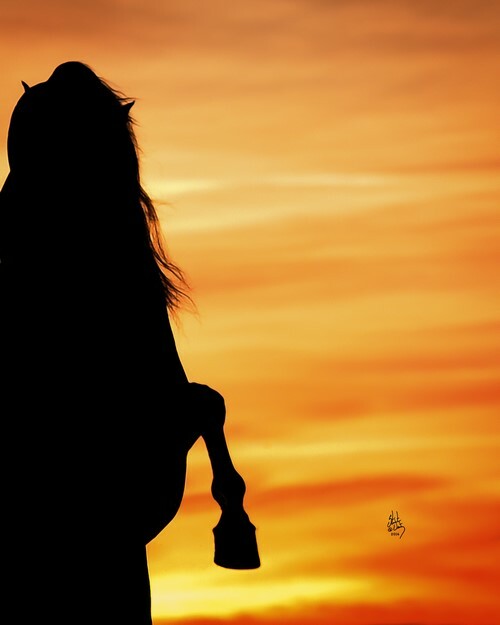 Back in the Middle East, he was then shown at the Kuwait International Arabian Horse Championships this February, taking the Gold Senior Male Championship. Part of the allure of Sultan Al Zobara is in his look: he is distinctive, exotic, with that impressive Gazal Al Shaqab neck marrying beautifully with the elegance of his dam. When he moves, he captivates, and he will return to the Paris show-ring once more this month, this time for Al Thumama Stud. Owned by Dana Al-Meslemani and managed by Hilke de Bruycker, Al Thumama Stud in Qatar grows in strength each year. Their ability to spot, and lease, world-class stallions to use over their mares is like no other. Last year, they leased Morion (Kahil Al Shaqab x Mesalina by Ekstern) from the Michalów State Stud in Poland for two seasons, and now they have leased Sultan Al Zobara. Hilke tells me: “I loved Sultan from the first time I saw him. His beauty is the epitome of Arabian type. This is how an Arabian horse should look like. His allure is phenomenal. I fell over and over in love with Sultan in Paris, at Giacomo’s open house, and in Kuwait. There was a picture of Sultan in Las Vegas, where I had to look twice if it was sculpted or if it was him. When I visited Al Zobara Stud/Ali Al Misnad the beginning of April, I asked: ‘So… Can we lease Sultan Al Zobara?’ It was a long shot, and I never expected him to say yes, but here we are! Certainly, returning to Paris as a World Champion always has a certain level of risk, but handler Tom Oben is determined to just go and enjoy the experience. “We know that are up against a strong level of competition this year, but there is still always a chance that you can win. And we will certainly be aiming for that,” he told me. 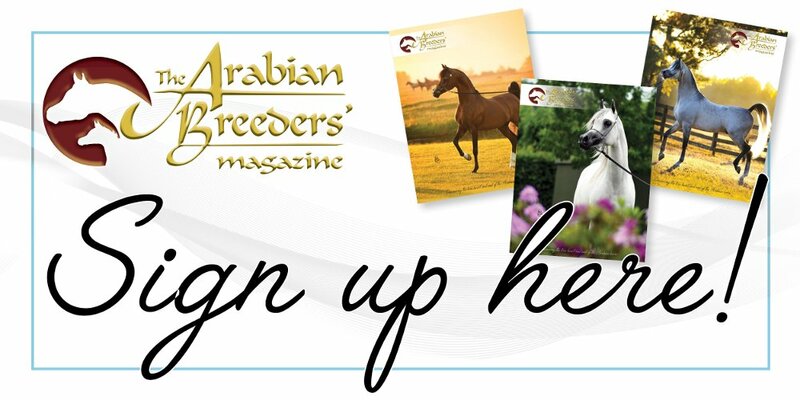 Please enjoy this month’s The Arabian Magazine cover horse – and cheer for this incredible stallion in Paris, when he enters the spotlight once more.